The best of both worlds should never be a compromise. That’s why the 2019 Kia Niro extracts the best of the hybrid and the crossover, culminating in a hybrid crossover that surpasses its individual inspirations. 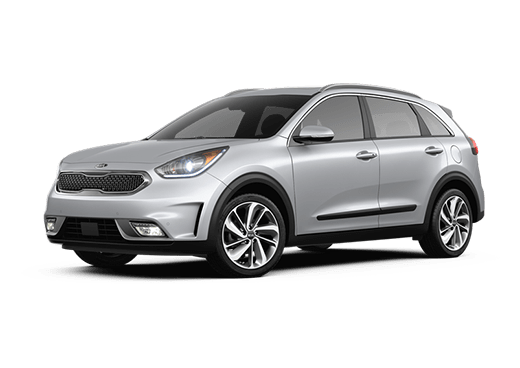 Featuring Kia’s Full Parallel Hybrid System, the Kia Niro’s powertrain is built by a hybrid-optimized engine working in tandem with a lightweight electric motor, producing 139 horsepower of efficient output. But power and efficiency are only two variables in the hybrid equation, and factors such as responsiveness and operational efficiency can’t be ignored. 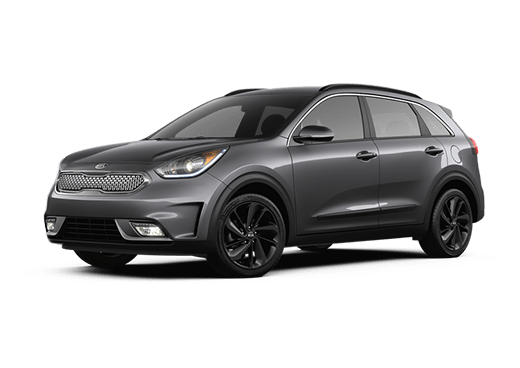 The Kia Niro accounts for these facets of hybrid driving, applying power with a 6-speed dual-clutch automatic transmission for quick, responsive shifting that other hybrids neglect. Bolstered by a regenerative braking system which charges the lithium-ion polymer battery by reclaiming kinetic energy during braking, the Niro endures the rigors of the road with a driving range of nearly 600 miles. With seating for five passengers in a spacious cabin, the Niro offers 19.4 cubic feet of cargo volume, expandable to a maximum of 54.5 cubic feet thanks to rear 60/40 split-folding seats. 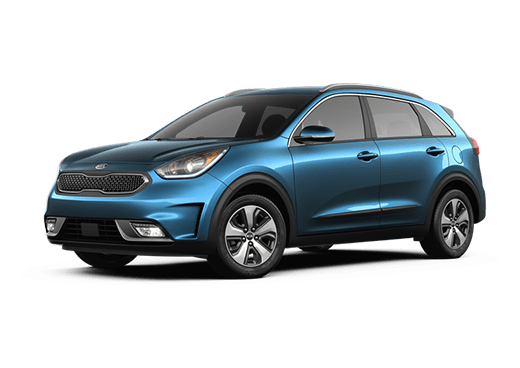 And with a suite of safety, convenience and connectivity features, the Kia Niro surges past the typical hybrid at every corner. 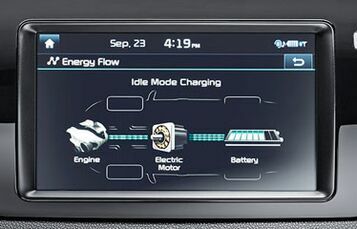 Kia’s Full Hybrid Parallel System combines an electric motor with a 1.6L gas engine fine-tuned for a hybrid powertrain, working in dynamic cooperation thanks to a high-capacity 1.56 kWh lithium-ion polymer battery. Boosted by energy saving and reclaiming technologies such as regenerative braking, the Niro achieves an astounding combined MPG rating of 50 miles per gallon. 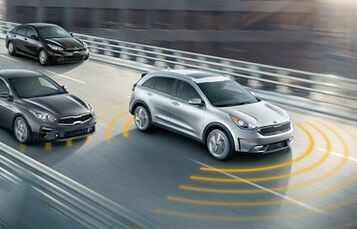 Staying plugged in is easier than ever before thanks to the Kia Niro’s connected infotainment system featuring standard Apple CarPlay™ and Android Auto™ functionality as well as available wireless smartphone charging. 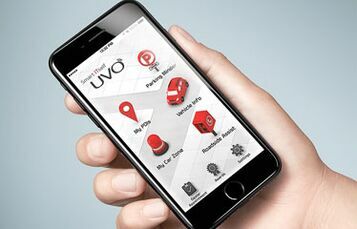 Enjoy Kia UVO eServices integration for service scheduling, parking reminders, trip planning and more from the comfort of your smartphone. Built on an Iso-Structure™ frame of over 50% high-strength steel, the Kia Niro holds strength and safety at its core. An advanced airbag system uses high-tech sensors to direct airbag inflation and every door is reinforced with steel beams to deflect impact forces. And with a suite of active and passive safety features including Vehicle Stability Management and Traction Control System, safety in the Niro is as effortless as can be.